Price is per square metre of tiles (m2) Tile category: Classic Travertine Brushed Product Information:- If you’re renovating an old home or want to recreate a rustic look, then these unfilled and brushed travertine tiles could be what you are looking for. Their chiselled edge helps them look authentically old, but without the worry of an unstable base for any wall or floor. You’ll find the medium - light background colour, a welcome addition to any roomWe suggest for this tile: Adhesive: Flexible standard set or fast set adhesives Grout: Flexible narrow joint grout or flexible wide joint grout Tile Sealer: Mattstone tile sealer Tile Cleaner: Grimex stone tile cleaner Tile Maintenance: Waxwash Click here to check our TILING ESSENTIALS including tile sealer, tile cleaner, tile adhesive and tile grout; we only supply carefully selected Tiling Essentials for Tiles R Us. 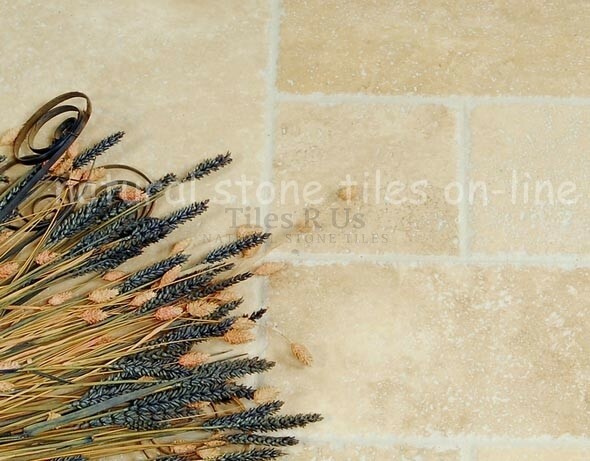 Click here to check our NATURAL STONE TILING MADE SIMPLE guidelines and tips - Tiles R Us are unique and natural make sure you get the first step right and you will be very pleased with your stone tiles project. Under Floor Heating: Click here to see all the details and options available in our Comfy-Toes UNDER FLOOR HEATING range Warm comfortable feet - absolute heaven in your kitchen, bathroom, shower room or conservatory! Don't miss the chance to check our low cost, high quality range of floor heating systems.